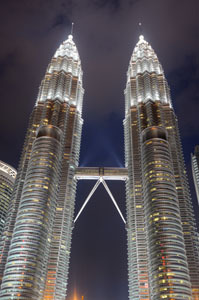 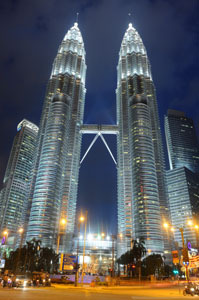 The Petronas Towers at night. 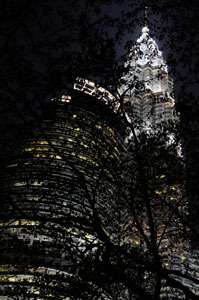 A Silhouette of a tree with the Petronas Towers as the back light. 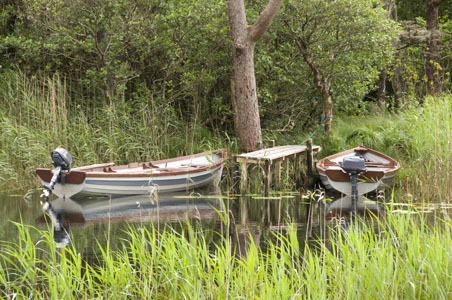 Two small wooden boats with outboard motors moored at a wooden jetty amongst reeds, Connemara, Ireland. 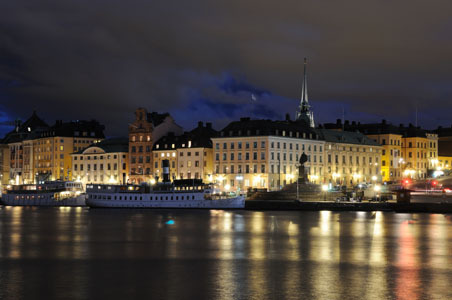 Cruise boats berthed along Skeppsbron (Quay), Stockholm at night in front of floodlit buildings. 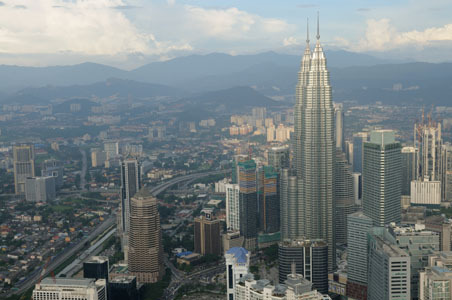 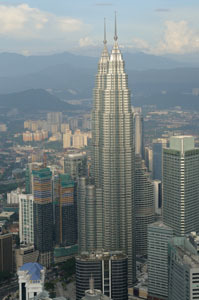 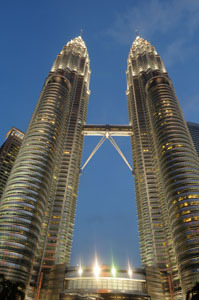 The Petronas Towers seen from the open deck of the nearby KL (Menara) Tower.